Fold your hands together, with one thumb on top. Is the dominant thumb the left one or the right? Actually, don’t bother. While the left-/right-brained paradigm is a useful symbolic way to discuss different thinking styles, it doesn’t square with science. That said, unlike many phony brain theories, Psychology Today reports that the left-/right-brained mythology does contain a kernel of truth: The hemispheres do have different strengths. However, these strengths work together, not apart. 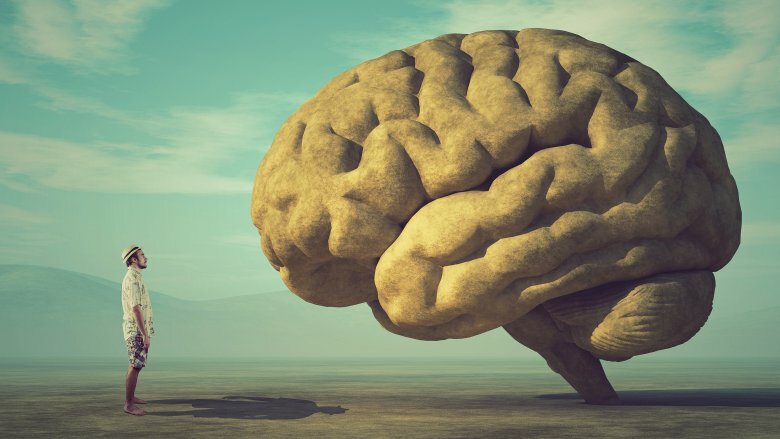 For example, while the left hemisphere of the brain is dominant for language processing, the ability to understand the more subtle emotional details of language — such as intonation — comes from the right hemisphere. So while it’s fascinating to see how both halves of the brain do their own thing and communicate with each other, it’s important to recognize that a properly functioning brain depends on both sides, like Superman and Batman teaming up to fight the bad guys. Here’s the deeper issue with the myth. If a person writes off half of their abilities by saying “I’m a [left- or right-]brained person, so I’m bad at that,” it can limit their growth. For instance, the Guardian poses the example of a 12-year-old who struggles with math, decides that she’s “right-brained,” and doesn’t bother studying math (or other “left-brained” activities) anymore, preventing her from improving in that arena. Similarly, those who test as left-brained might convince themselves they have no creative potential. In this, as in everything, balance is key.